All help systems should contain one of these! 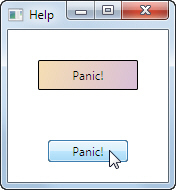 The start of an event trigger for the panic button. 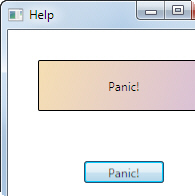 The storyboard's target name property to txt (the name of the text box whose size you want to change). The To property to 200 (width) or 60 (height). You can now play the amusing game of trying to click on the moving cross to close down your window! Close any windows that you have open.